Now, here we come for the Day 2 of Hijabi Fashion Week!! I'm so happy I can join this online event..It's so great to see a lot of great style from other hijabi bloggers :) The theme for the Day 2 is "What would you wore on Eid?".. I like the colour combo, and ur hijab style is so chic. perpaduan kebayanya bagus kak :) cantik! 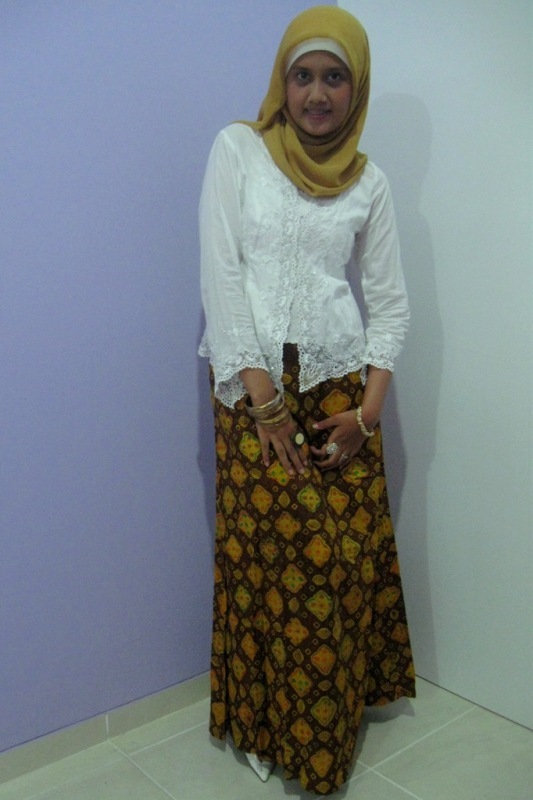 i like your batik skirt <3 you look so great! skirtnya cantik bangat.. kamu tampak anggun skali.. I love the yellow and white! huaa kak fika! long time no chat haaha. so like always, you have a cool oops im wrong. a superb cool style.